With a private cure you take over the costs for your overnight stays and the health resort doctor in the medicinal bath prescribes the suitable remedy uses for you according to suitable investigation and with medical need. The cash, the rest as well as the recipe fee i takes over 90% of the costs for the uses i. H. v.
The patient himself pays 10€. A precaution cure can bend forward illnesses if the physical or spiritual health is weakened. This health resort form serves to prevent worse and helps besides to become again healthy and fit ones. Health resort and lodging can be chosen in the agreement with the doctor and the cost unit freely. Duration – An ambulant or stationary cure lasts as a rule three weeks. A lengthening is possible according to gravity of the illness. Costs – With ambulant precaution achievements in the MEADOW COURT 100% of the health resort doctor’s fees and 90% of the health resort means are taken over. There a subsidy comes for lodging, catering and health resort rate from up to 16€ / meet. 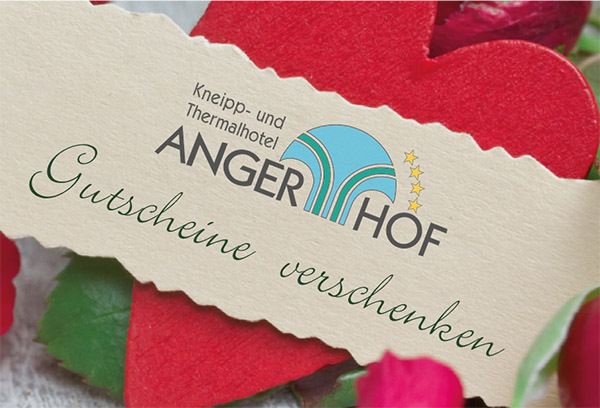 The own participation lies with 10€ per order (recipe) and with 10% of the health resort means. As a member of a legal health insurance you can also more often apply for these achievements all three years, with medical need. All the other achievements can be approved only all four years. How can you apply for a cure? Here we show you how you come in 5 easy steps to a successful cure and which costs the health insurance scheme takes over, besides. 1. Claim – Everybody (r) legally the insured persons with which the medical conditions are given is entitled to a cure which can be also more often applied all three years once more, with medical need. 2. Medical findings – Every cure begin with a conversation at your treating doctor. This advises you according to gravity of the illness state an ambulant or stationary stay. 3. Application – Together with the doctor you fill the health resort application (Verordnungs form 60: Introduction of achievements to the rehabilitation or alternative offers) and submit this to your responsible cost unit (health insurance or pension scheme, aid place). Already here you can give your desired place of residence. The doctor should provide comprehensive grounds for the need of the health resort measure and add to the application. 4. Check – The examination of the health resort application follows by the medical service, the contract doctor or public health officer. 5. Approval – your application was approved! Did you know that, unfortunately, almost every fourth application is rejected? The cure can be approved by an easy written contradiction – best of all with support of your doctor – nevertheless (success rate of more than 50%)! Medical precaution achievements (§23 SGB V) are indicated if an impairment of the health is given which could lead in the foreseeable future probably to an illness. Here is valid particularly „Prevent is better than curing“. This is valid in particular with a danger of the health development with children, e. g. , overweight, lack of exercise, for the avoidance of the increase of existing illnesses or the avoidance of nursing need. Rehabilitation means restoration. We understand the application of medical measures by medical rehabilitation, are suited the physical, mental and social results to minimise of illnesses. Medical rehabilitation measures can be produced outpatiently or in-patient. Condition is always the need, the rehabilitation ability and an accessible, defined rehabilitation aim. Cost units of the measures can be, e. g. , the health insurance schemes and nursing cashes, the pension scheme or the accident assurance, this should be cleared possibly before the application position to avoid temporal delays. Even if grounds are not necessary, it appears to call sensibly suitable reasons to confirm by medical certificate or to put questions. Here you find to the most current refusal grounds, suitable arguments for the use in your individual contradiction writing. My doctor has made clear in the application that ambulant measures in the place of residence are not sufficient with me. How do you judge as a health insurance scheme how many orders are medically necessary in which period? My doctor holds a comprehensive beginning, environment change and compact units of treatment for urgently necessary to prevent an increase and Chronifizierung. Mein Arzt hält einen ganzheitlichen Ansatz, Milieuwechsel und kompakte Behandlungseinheiten für dringend erforderlich, um eine Verschlimmerung und Chronifizierung zu verhindern. Bei mir als Rentnerin geht es nicht um Wiedereingliederung in das Arbeitsleben, sondern um Prävention (oder Rehabilitation) nach dem Sozialgesetzbuch (Krankenversicherung, Pflegeversicherung).